I have helped build and used two of these Doublet Antennas during the 2014 Field Day Contest and they worked great! Worked many stations on CW, Phone, and PSK31. Works great across many HF bands. A little over 120 feet long. WR8S (Bill Shultz), WD8WQK (Tom Graf) and I are going to make one for my ham shack as soon as I order the parts. Take a look at Ray Heffer’s explanation of the Doublet Antenna and a diagram by N4UJW below. 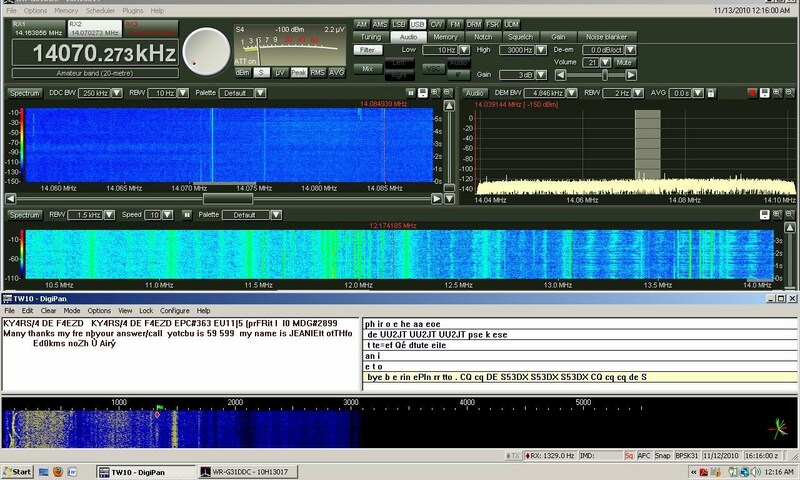 Good article on PSK31 by WM2U that has all sorts of good information. Also his Tip List is below. This must be at least a 16 bit sound card. No Signal observed? Check your WAVE slider is not zero. Set Rx and Tx frequencies to 1000Hz. NOTE: This value will get you up and running but if you plan on using a filter change it to the center frequency. If using LSB check the “Inverted QPSK” box. Too much noise! Try using a narrow CW filter. Using a Word Processor, write your buffered messages and save them as .txt files, placing em! in a folder called ‘buffers’ created in the main PSK31 folder. NOTE: This is NOT a form of type ahead buffer. It is simply a method to pre write ‘Standard’ messages hence saving you keyboarding time. Your sound card output must NOT overdrive your Mic Input. Do not overdrive the sound card input from the Radio. Get used to the Waterfall/Phase indicators for tuning. Do not use your Speech Processor. Be patient. This is a new mode. You will not find all the features you are used to yet! 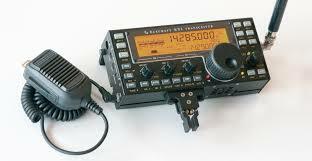 I had the pleasure of playing with two Elecraft KX3 radios during ARRL Field Day 2014 running CW and PSK31 modes. Both radios worked like a charm off of battery power and we racked up some excellent contacts during the hours of the contest. I want to thank Bill (WR8S) and Tom (KD8WQK) for letting me get may hands on their toys! Definitely on my WISHLIST! The KX3 HF Radio is pictured above. 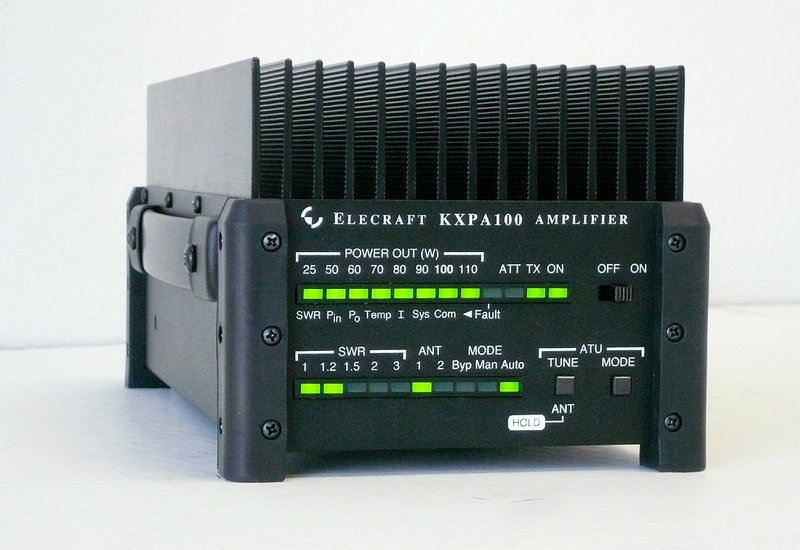 The optional 100 Watt Amplifier is pictured below. Another SUPERB W2AEW video! I love PSK31 and this is a GREAT video explaining how to have a clean and crisp signal showing up in everyone’s waterfall. 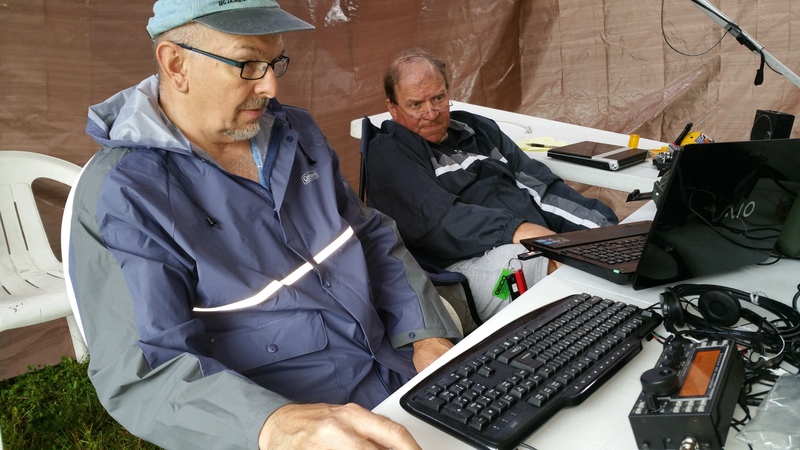 W2AEW does a FANTASTIC job of explaining all sorts of nifty concepts in Ham Radio. I follow his videos on YouTube and spend many evenings learning from this fine gent! I also have some of his books as reference material. I am gonna HAVE a scope some day!